Some bad headaches can occur when trying to keep up with all the content for big AAA games. Deals are made and release dates are scattered everywhere. 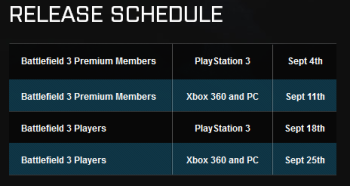 That's just the case for the Battlefield 3 downloadable content, which has four release dates depending which platform you own and if you are a premium member. The third expansion, Armored Kill, drops today--for some. If you are a Battlefield 3 Premium Member with the Xbox 360 or PC, today is the day to grab that expansion (which you paid for in advance). If not, you're going to have to wait a couple weeks to pick it up. This is probably the most ambitious expansion so far. 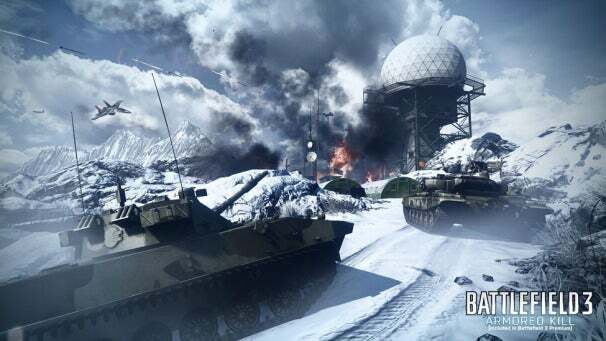 The first expansion was Back to Karkand in December, which remade popular maps of Battlefield 2 with the Frostbite 2 destruction engine. The second was Close Quarters back in June which focused on maps, weapons and game modes that got enemies up close and personal. Armored Kill focuses on all-out vehicle combat. The new expansion offers a ton of new vehicles including ATV's and mobile artillery as well as four new massive maps that support all game modes. They also claim that they included the largest map in Battlefield history. That's a bold claim I look forward to traversing. Like the previous expansion, they also offer a new game mode, "Tank Superiority." A single capture point is placed in an exposed area of the map. The two teams must battle it out using a plethora of tanks and tank destroyers to bleed the other team of points in order to win; think King of the Hill mode, but with a lot more scrap metal. 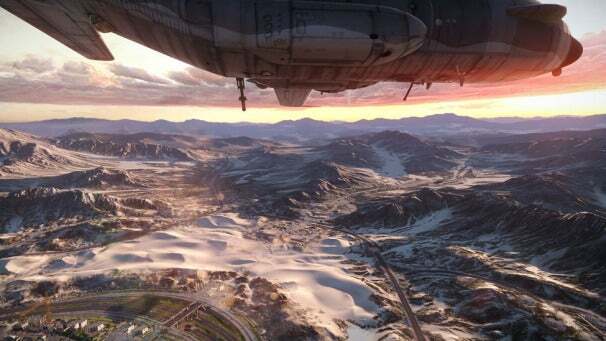 The always popular AC-130 will be prevalent in some of the maps to add some adaptive gameplay to the mix. When a specific control point on the map is taken, that team gets access to the gunship. It has room for two gunners that can use AA or ground artillery and a paradrop spawn that is always open. The pilot is AI controlled and will make revolutions above the map in a predictable manner. It can easily be taken out by aircraft or anti-air weapons. This will be just the kick the game needs after a lackluster last expansion. This is the kind of thing fans choose Battlefield over Call of Duty for, and it seems they did a lot right; big maps, big guns and big vehicles all thrown together in an explosive package.